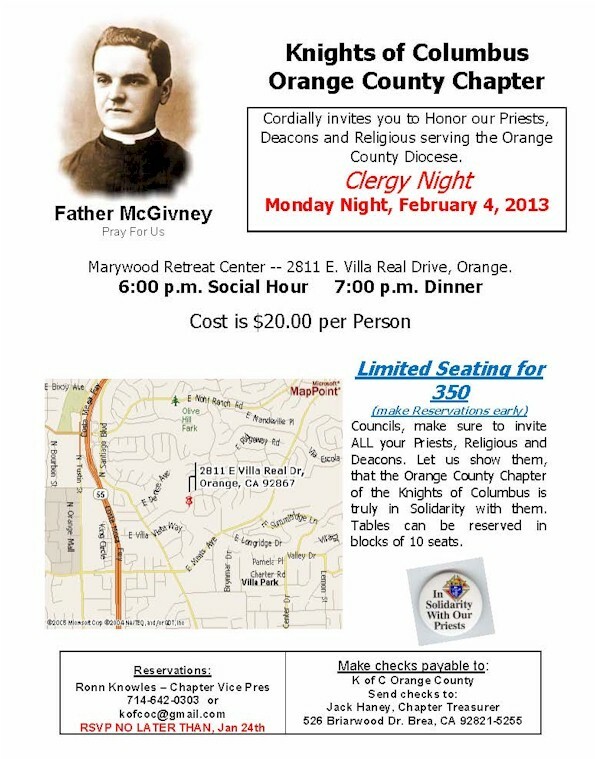 Clergy Night February 4th. This is our major event of the year honoring our bishops, priests, deacons and religious brothers and sisters. Please invite the clergy from your council and call or email us to let us know the attendance. We encourage each council to sponsor at least one table. Thanks for your support.